Help us to stop the unlawfully constructed Anaerobic Digestion Facility at Crouchland Biogas Ltd, Plaistow, West Sussex. Industrial Anaerobic Digestion Facility blights Plaistow and surrounding villages. HGVs, Tankers, Tractors and Trailers servicing an Industrial Anaerobic Digestion Facility and damaging the unique ecological setting of this area? A massive slurry lagoon the size of 5 football pitches with a capacity of 22 million gallons has already been built without planning permission at Crouchland Farm, Plaistow. 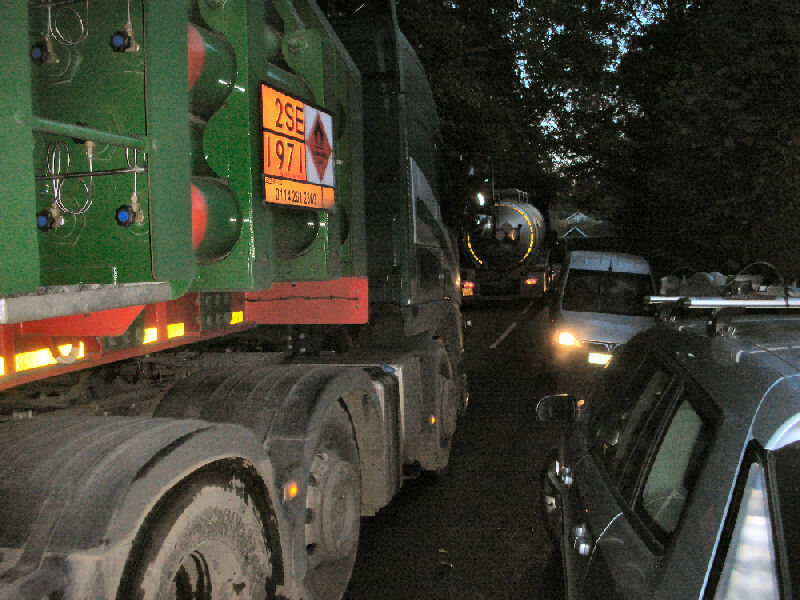 If approved, in excess of 28,000 HGV lorry, tractor and trailer movements a year will invade our once safe and peaceful rural lanes to serve a massive Industrial Biogas Plant. Only one of these lagoons has planning consent! Some of these structures, including the large green digester to the right, have no planning permission. Thankfully, fencing and warning signs have been placed around the unauthorised lagoon this week. The site from the air. Crouchlands complain to police about residents parking outside their house because it's difficult to fit by - perhaps the road isn't suitable for large HGV's, now there's a thought! Plaistow, Ifold, Loxwood, Kirdford, Wisborough Green, Alfold, Ebernoe - all will be affected! Crouchland Farm, Plaistow has been operating an unauthorised Commercial Anaerobic Digestion Facility. Please click on the 'Register and Appeal Fund' button above - to read the November 2015 update and the reasons we are objecting to the forthcoming planning appeals by Crouchland Biogas Ltd. Take a look at the 'News' page to see regular updates and register your email address to receive these updates by email. We need your action and support, to halt this unauthorised activity for good! 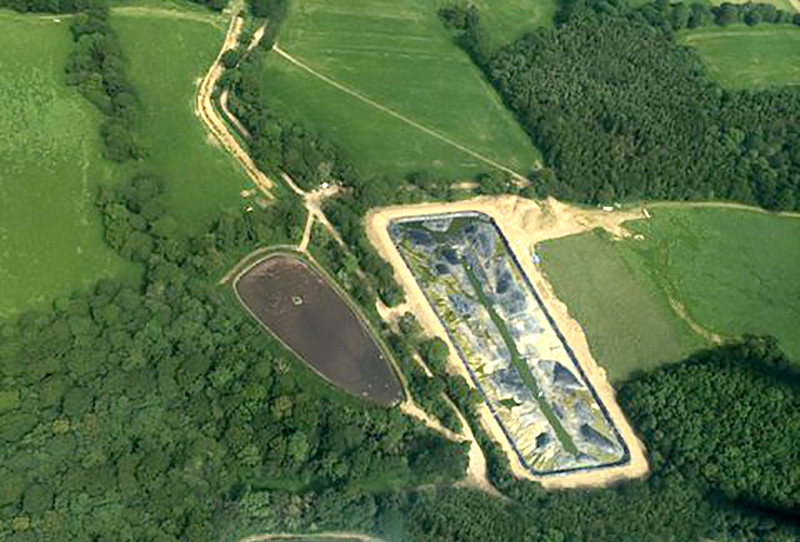 In 2009 Crouchland Farm, Plaistow, constructed an anaerobic digester. Waste from their substantial dairy herd was used to produce gas and thereby electricity for farm consumption, with the surplus being fed to the grid. 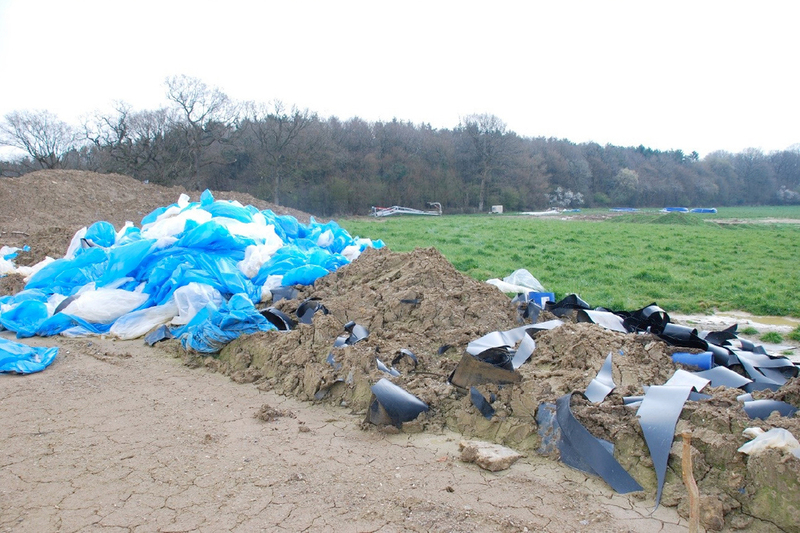 This was all done under permitted development rights, as the activity related solely to the farm and its OWN waste. Crouchland Biogas have opened for business dealing with other people's waste to their commercial gain and at our cost! Small rural lanes previously enjoyed by joggers, horseback riders, cyclists and walkers have disintegrated under the onslaught. Repair follows repair at public expense. In November 2015 the entire Foxbridge Lane was closed for 2 weeks as nearly £200,000 was spent on rebuilding the lane. Despite enforcement action, unregulated, unmonitored and unapproved construction of the industrial Biogas Plant continues at a pace. Substantial tracts of land, many acres in size are being despoiled, trees in the vicinity are dying and the fragile ecology is at threat. All this to serve an activity that should be strategically located on main arterial routes and operated by responsible, accountable professionals acting with due regard to regulation, safety and local concern. Since 2014, seventy separate incidents have been reported to the Environment Agency and 10 are still being investigated in September 2015. The EA have reviewed 15 events where they have suspected that the Operator has not been in compliance with its permit. Legal notices have been served 7 times, requiring the Operator to take action. There have been two MAJOR POLLUTION events where digestate has leaked into waterways killing fish and aquatic life. In June 2015 digestate surged through neighbouring farmland for 2km, requiring the farmer to sell his livestock as he could no longer use his prime pasture land. There is also an ongoing investigation into the River Kird pollution in December 2013. Equipment failures have the potential to suddenly release highly flammable asphyxiating production gas. Loss of process controls due to production surges, foaming or flow restrictions have also been known to cause pressure release valves on digesters to blow off and vent gas to the atmosphere. Residents are regularly having to call the Environment Agency to report a noise nuisance, particularly in the evenings. If you are bothered by the noise, please call 0800 80 70 60 to log this with the EA. If Crouchland gain consent for an Industrial Anaerobic Digestion Facility, a change of use in planning terms will have taken place. This would be a tragic and in all likelihood irreversible damage. The detrimental affects of which will be felt on a daily basis by nearby village residents from that point forward. 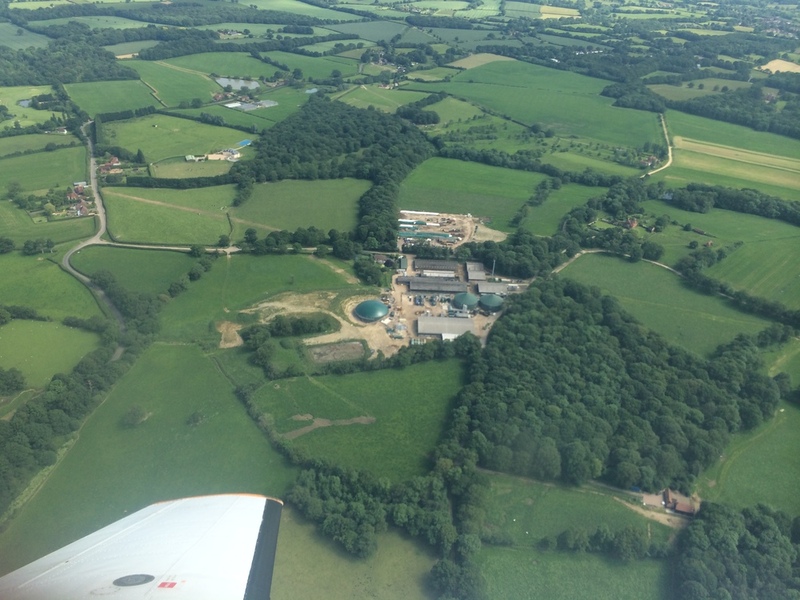 Strategically Crouchland Biogas Ltd. are likely to submit an application that is modest when compared to their aspirations, but nonetheless establishes an industrial use. 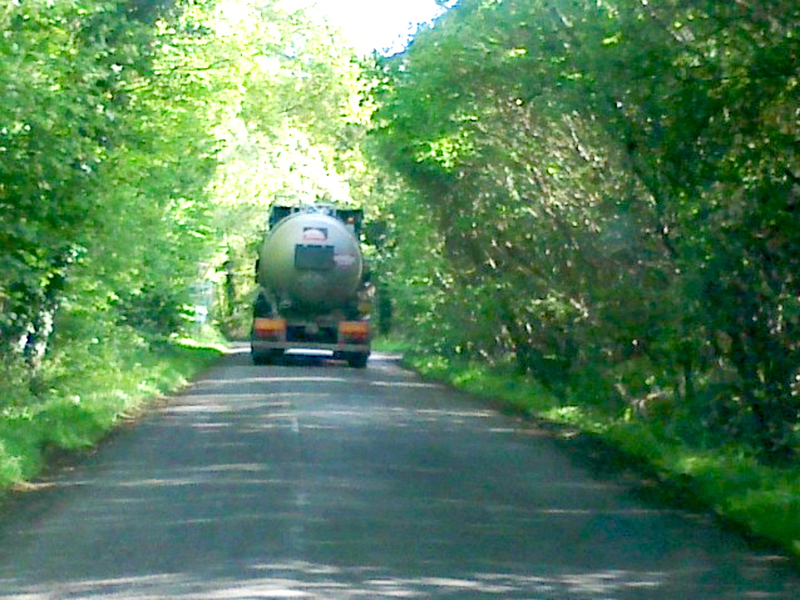 Once the change of use has happened from working farm to industrial site, it is feared the flood gates will open and the proliferation of even more tankers and HGVs through our villages and country lanes will further blight the landscape. It is through carefully reasoned argument and weight of numbers that we will win this battle and stop this unauthorised industrial slurry biogas plant at Crouchland in Plaistow, West Sussex.